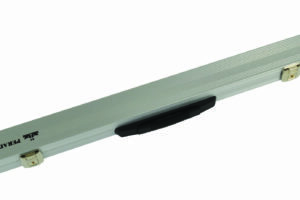 The Aramith Cue case offers convenience, style, function, and purpose. A modern aluminum body with chrome accented corners. The durable handle and 4 locks provide top securtiy. Holds 2 x 50/50 split cues, a complete ball set and 1 extra ball. 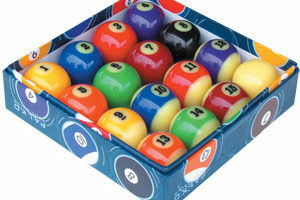 Features compartments for Chalk, Spare Tips, a Cue towel and Cue tools. 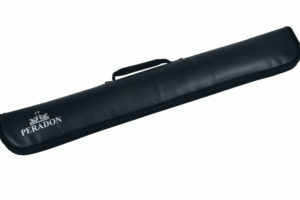 This Ball & Cue Case offers convenience, style, function, and purpose. Every frequent player recognises the importance to not only protect his or her tools, but also the practicality and ease of moving from place to place, pub to pub, and tournament to tournament. The convenience of this case will allow for more mobility, games, and enjoyment! 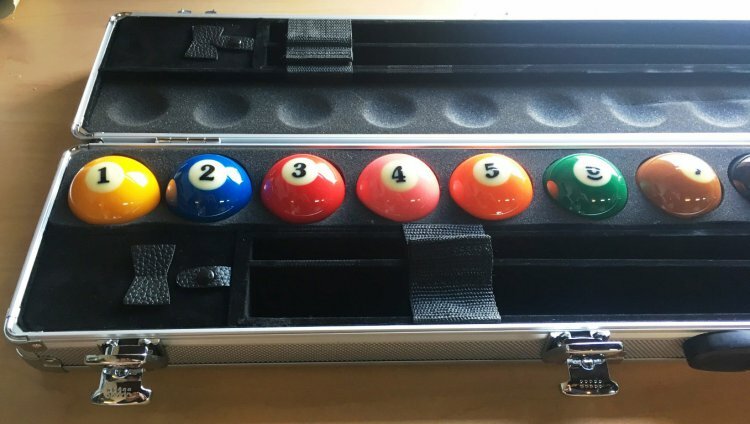 From a style standpoint, the aluminum case accommodates two shafts and butts (not included), a complete set of balls (not included), and has two pockets for chalk and other accessories. Your competition will know you are serious when they see this case in your hands. 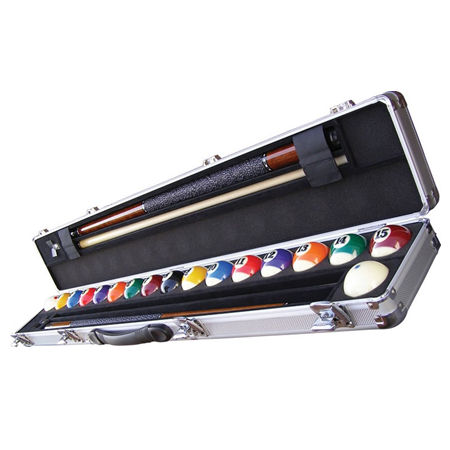 From a functional standpoint, when you play with your personal cue and ball set, you will improve your level of play. At Aramith, consistency is one of their core values. Whether it is with billiard balls, or worsted cloth, consistency is required. Whether you are a professional, league or recreational player, when you play with the same cue and ball set you are used to, you will develop new skills and sharpen your old ones. You will develop the consistency needed to take your game to the next level.